High spin good for longer pitches. The leading edge is quite rounded. Inconsistent spin rates and dull feel. Offers versatility through a dual-bounce sole, raised slightly along the front and back. Forged from 304 steel. Heel-toe weighting adds forgiveness. Chrome finish gives durability. There’s very aggressive milling on the face; it’s extremely sharp, wide and deep, almost like a face full of grooves. This gave me some inconsistent spin. It feels light, the shaft and head not brilliantly balanced. Not the most friendly sole. 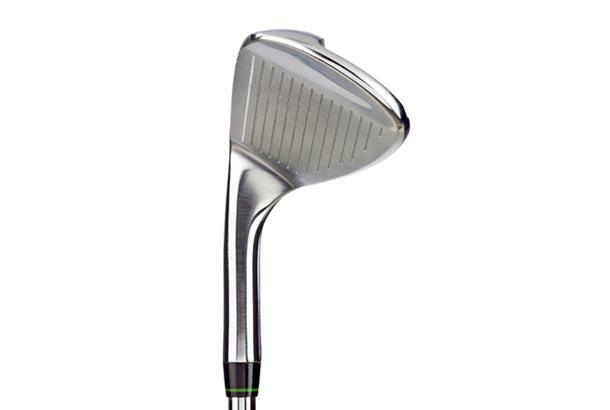 The head is a decent shape but the leading edge appears quite sharp – any forward shaft lean and it gets tight to the ground. Better off firm turf. 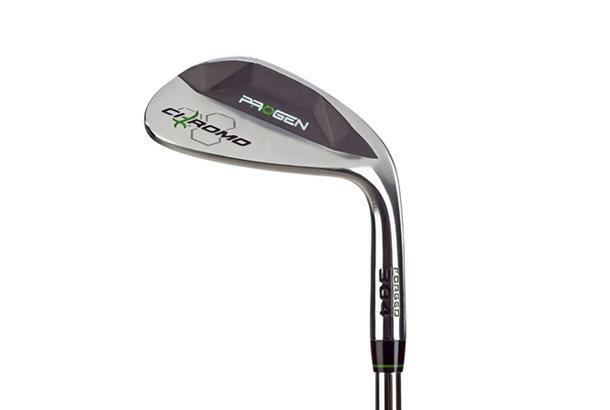 The Progen Chromo wedge has ultra soft 8620 stainless steel which allows superior feel whilst a 22-groove, milled clubface generates increased spin.